Neoprene foam tape is a closed cell blend of neoprene sponge, EPDM and synthetic rubber with a dense mass of tiny pores (or cells) to seal out air, moisture, liquid, gas, oil and more. 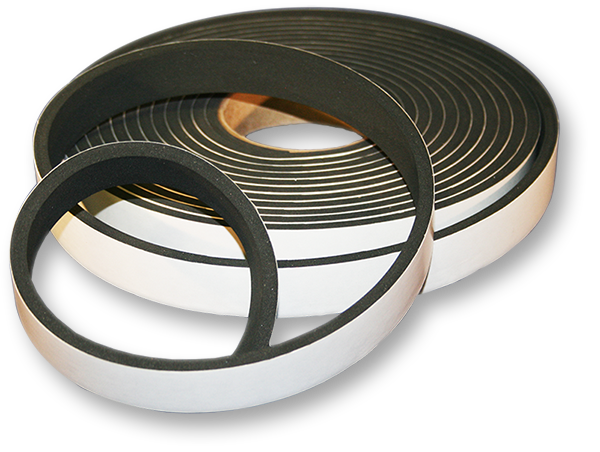 Neoprene rubber tape is ideal for higher temperature applications where the seal isn’t frequently re-opened or broken. LAMATEK’s neoprene rubber tape is available in several grades from soft to firm to absorb various weights and compression levels. Neoprene EPDM rubber tape is great for high temperature applications, however, it also provides anti-slip properties and excellent sealing.